vienna. i travel to this city about once every two weeks for a few days on business. 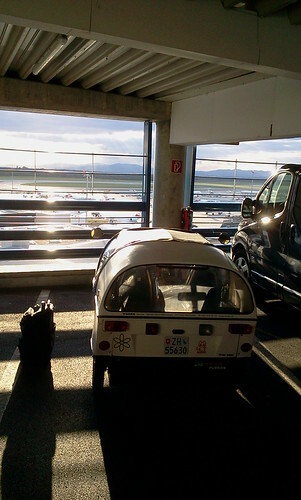 about 5-6 times a year i stay for a week or so and then i usually take the twike to vienna or travel to other cities nearby such as bratislava or brno. getting to vienna by twike is quite comfortable and easy. 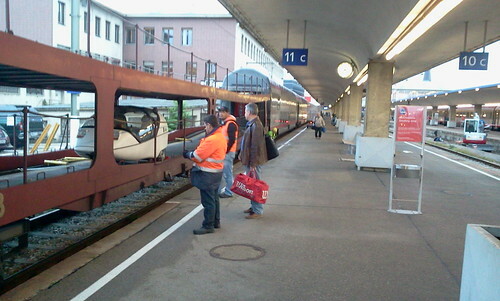 from home, i drive to feldkirch, then take the night train to vienna and drive off the train at 0730 in the morning at the central vienna westbahnhof. 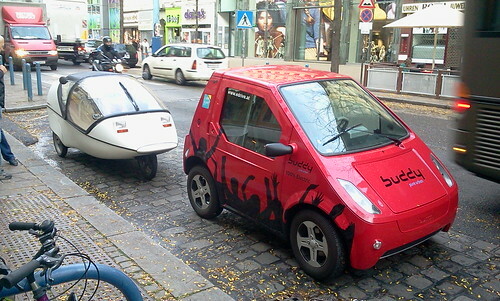 this is the first buddy in vienna – still cruising with a norvegian license plate, the owner saw the TWIKE and stopped to take some pictures. the owner will start importing this little car with a great history to austria shortly. after this week in vienna, i shall be flying to tel aviv and the TWIKE will stay here in vienna, waiting for jean-claude to take it from vienna to hamburg and then onwards to bremen. my last days with the twike in vienna take me to very nice places – after my meetings i head out into the hills surrounding vienna. 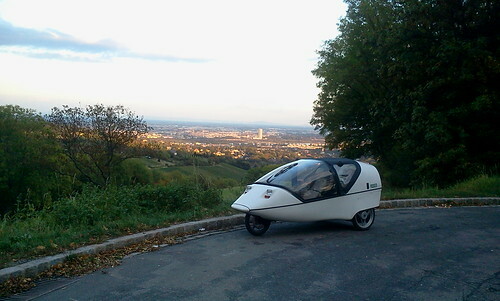 my last trip with the TWIKE -> to vienna international airport. 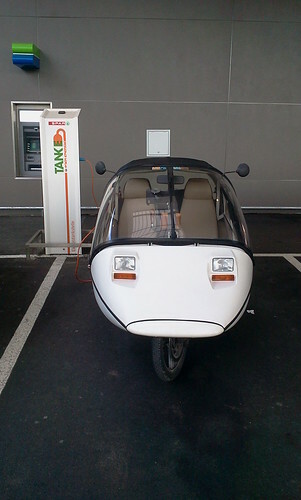 charging at an official charging point from wien energie called tanke. parked high up on the top parking deck, the TWIKE will now wait 2 days for jean-claude to arrive. bye-bye TWIKE – have a good trip and see you in about 1.5 months in mumbai!